Well, to start with a question to you- Are you planning to buy Samsung Galaxy S6? Then you should keep calm and wait for a special edition teased by Samsung Electronics on Twitter. Who knows? It may be something interesting. In the picture, as you can see above, it depicts the Superhero “Iron Man“. 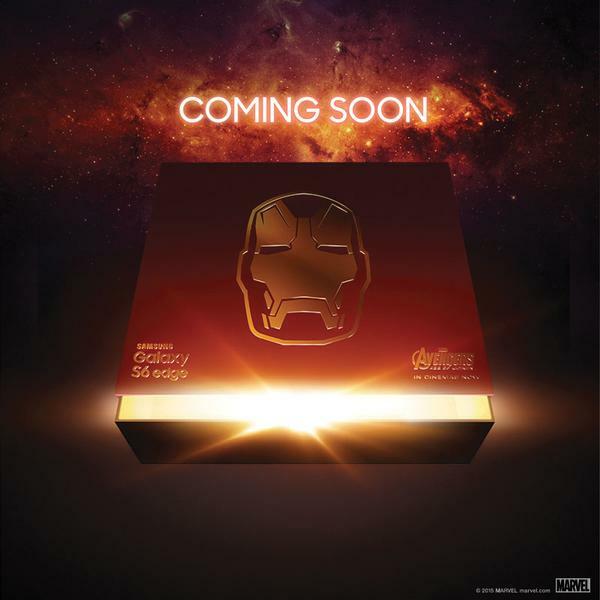 If we take a look at it first, then we may think it as a special “Iron Man” edition of Samsung Galaxy S6. But, as we look at the bottom-right section of the box, we see the text “Avengers”. This text hints at something different too. The Avengers just doesn’t count Iron Man, but also Hulk, Captain America, Thor, Black widow, Hawkeye and some other characters which are in the core team according to the Marvel comic books. So, we may expect another “Hulk” or “Thor” edition of Samsung Galaxy S6 Edge. It’s still an assumption. Iron Man being a part of Avengers doesn’t mean that Samsung will also bring up other Superhero editions for its device. Everyone’s going crazy, after this picture hit Twitter. We may also expect a different customized color with limited number of stocks of this edition. That’s because “Iron Man” takes his style seriously, you know. Well, that’s just a personal opinion. You May Also Like – AC Syndicate: Will it bring back the glory of Assassin’s Creed ? This edition’s availability is believed to differ by region, as mentioned in the tweet. Stay updated with us by subscribing to our newsletter here. What do you think ? Is it just a marketing stunt ? Or will it impress users by something interesting ? Let us know what you think at the comments section below. Previous articleAC Syndicate: Will it bring back the lost glory of Assassin’s Creed?